On the season finale of Eat Your Words, Cathy is joined by chef, restauranteur, and cookbook author Rachel Yang. Since 2007, Rachel and her husband chef Seif Chirichi have built successful restaurants based on a wildly creative vision that combines their shared love of bold, unexpected Asian flavors with classic, rigorous technique. Their food is beloved by seasoned, adventurous diners and often considered a revelation by newcomers eager to expand their palates. The couple’s work is consistently acclaimed and recognized, including three James Beard Award nominations for Best Chef Northwest in 2013, 2014, and 2015. Through their company, Relay Restaurant Group, Rachel and Seif own and operate three restaurants in Seattle—Joule, Revel, and Trove—as well as Portland’s Revelry. Just like their food, the restaurant spaces balance formality and tradition with energy and creativity. 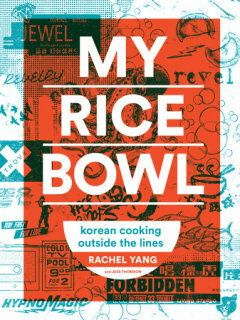 Rachel is also the author of My Rice Bowl, a cookbook with 75 recipes based on her deeply comforting Korean fusion cuisine, inspired by cultures from around the world.